Spectacular waterfront-oasis with a 2 acre private lake complete with sandy beach & infinity pool. Enjoy the quiet setting and tranquil views with family and friends in this 6,237 square foot, 6 bedroom, 6.5 bath residence. 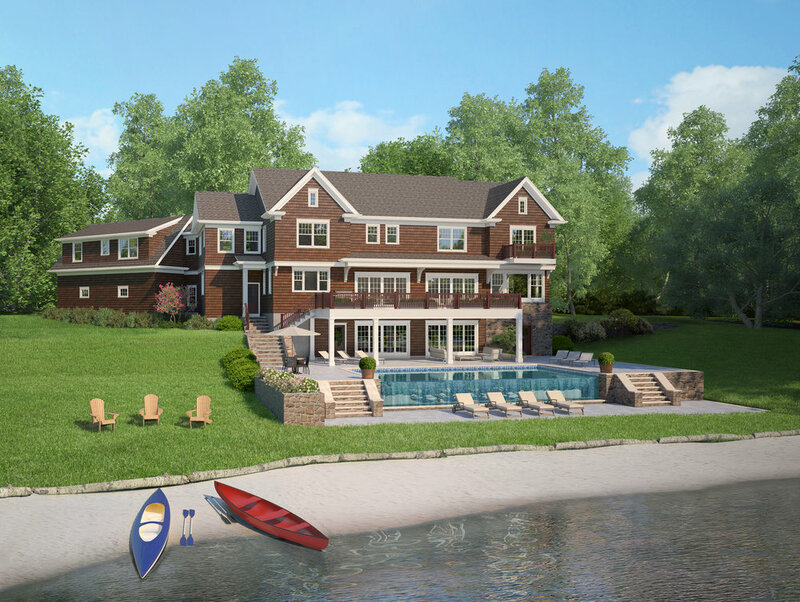 This custom built home to be completed by late Spring 2019 boasts an open concept floor plan featuring a wall of glass with views of the lake and beautiful surroundings. The transitional accents, custom cabinetry, millwork, and special features set this home apart. An additional 2,815 square foot finished lower level will be complete with a home theatre, refreshment bar, wine cellar, exercise room, playroom and more! Luxury and serenity close to NYC in a country setting.